A month after the sold-out concert that raised more than $2 million for tornado recovery efforts across Alabama, the Advisory Committee for the Bama Rising Fund of the Community Foundation of Greater Birmingham is awarding $250,000 to rebuild and furnish homes in devastated communities. Upper Sand Mountain Parish (for the Jackson/DeKalb Long Term Recovery Committee) - $120,000 to help families rebuild their homes and obtain needed furniture and appliances in Jackson and DeKalb counties. United Way of Marshall County (for the Marshall Long Term Recovery Committee), $80,000 to complete rebuilding homes and to provide needed appliances in Marshall County. Mennonite Disaster Services, $50,000 to complete rebuilding homes in Phil Campbell in Franklin County. Opportunities were coordinated with Long-Term Recovery Committees (LTRCs) established across Alabama. LTRCs provide the connection between resources and unmet needs that have been identified through a case management system. More grants are planned soon as other hard-hit areas of the state become ready to allocate funds for unmet tornado recovery needs. Randy Owen, the band Alabama: "We are so thankful that the show was a huge success and that we're going to be able to do positive things to help those that the storm hurt so badly. The response has been incredible, and it's a real tribute to the people of Alabama to see them helping their fellow Alabamians"
Kate Nielsen, President, Community Foundation of Greater Birmingham and member of Bama Rising Advisory Committee: “We know the value of the local Long Term Recovery Committees across our state to connect generous people to individuals and families who were impacted by the April 27 tornadoes. Long Term Recovery Committees are made up of citizens on the ground who are working hard to identify unmet needs in their communities, the needs not met by insurance, FEMA, SBA or other resources. These grants provide a way for every star at the Bama Rising concert and those who attended to know that they have made a difference in the lives of individuals and families across Alabama. Background: The Bama Rising Fund was established in May 2011 as an Advised Fund of the Community Foundation of Greater Birmingham. Grants are made through an Advisory Committee which includes representatives of the band ALABAMA, concert promoters and the Community Foundation. 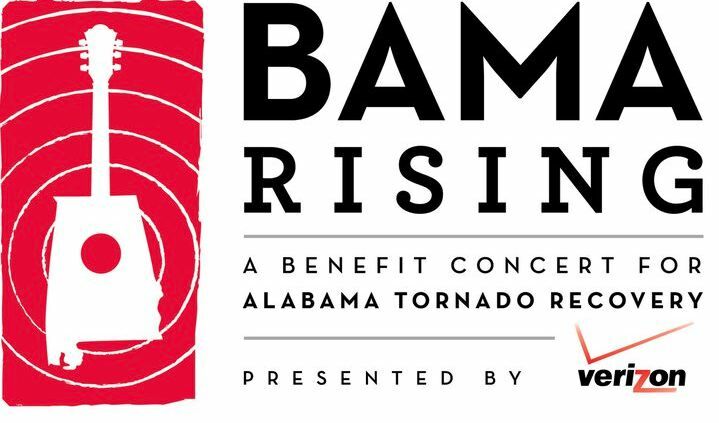 The Bama Rising benefit concert, organized by the band ALABAMA and held on June 14, 2011, raised $2.1 million for the Fund through ticket sales and the donation of in-kind services, talent and dollars by promoters, artists and sponsors. The Fund continues to grow through on-line and text gifts (text BAMA to 501501) and merchandise on the Bama Rising website (www.bamarising.org). The Community Foundation of Greater Birmingham is the oldest and largest community foundation in Alabama, dedicated to driving positive change through grants, leveraging donor giving to meet community needs, and works with other organizations to collaborate and bring resources together. The Community Foundation has experience in distributing donations in previous disasters, including tornadoes in 1998 and 2002 and following the evacuation of survivors of Hurricane Katrina survivors to the Birmingham area in 2005. For more information, contact Emily Jones Rushing at 205-327-3806 or 873-0942 or erushing@foundationbirmingham.org or go to www.foundationbirmingham.org.